City of thousand temples! Doesn’t it sound appealing? Don’t you want to visit such a place? 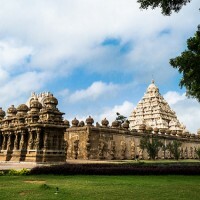 If yes, you should explore Kanchipuram which is considered as a sacred city in India. Situated at a 70-km stretch from Chennai, this city has made a mark across the world for its temples and hand-woven pretty silk sarees.